In an era where we can watch rockets land on their tails Buck Rogers-style live on YouTube, it’s difficult to imagine a time when even the most basic concepts of rocketry were hotly debated. At the time, many argued that the very concept of a liquid fueled rocket was impossible, and that any work towards designing practical rocket powered vehicles was a waste of time and money. Manned spacecraft, satellite communications, to say nothing of landing on other worlds; all considered nothing more than entertainment for children or particularly fanciful adults. This is the world in which V-2, written by the head of the German rocket development program Walter Dornberger, takes place. The entire history of the A-4/V-2 rocket program is laid out in this book, from the very early days when Dornberger and his team were launching rockets with little more than matches, all the way up to Germany’s frantic attempts to mobilize the still incomplete V-2 rocket in face of increasingly certain defeat at the end of World War II. For those fascinated with early space exploration and the development of the V-2 rocket like myself, this book is essentially unparalleled. It’s written completely in the first person, through Dornberger’s own eyes, and reads in most places like a personal tour of his rocket development site at the Peenemünde Army Research Center. Dornberger walks through the laboratories and factories of Peenemünde, describing the research being done and the engineers at work in a personal detail that you simply don’t get anywhere else. But this book is not only a personal account of how the world’s first man-made object to reach space was created, it’s also a realistic case study of how engineers and the management that pays the bills often clash with disastrous results. Dornberger and his team wanted to create a vehicle to someday allow man to reach space, while the Nazi government had a much more nefarious and immediate goal. But this isn’t a book about the war — the only battles you’ll read about in V-2 take place in meeting rooms, where the engineers who understood the immense difficulty of their task tried in vain to explain why the timetables and production numbers the German military wanted simply couldn’t be met. Generally considered the father of the US space program, and the mind behind Germany’s rocket development in World War II, Wernher von Braun is naturally featured quite prominently in V-2. Dornberger was von Braun’s superior in the German rocket program, and while he often comments on the young engineer’s brilliance, he makes it clear that the development of the V-2 rocket was not the accomplishment of any one man. History buffs may know that, more than a decade before Germany got serious with their rocket development, Robert Goddard had already launched several (albeit small) liquid fueled rockets; proving the concept was possible. But Goddard had relatively limited funding, and his work never got the attention it deserved in the United States. A then college-age von Braun was fascinated by what Goddard had achieved, and believed that the fundamental technologies he demonstrated could be scaled up to a much larger vehicle. 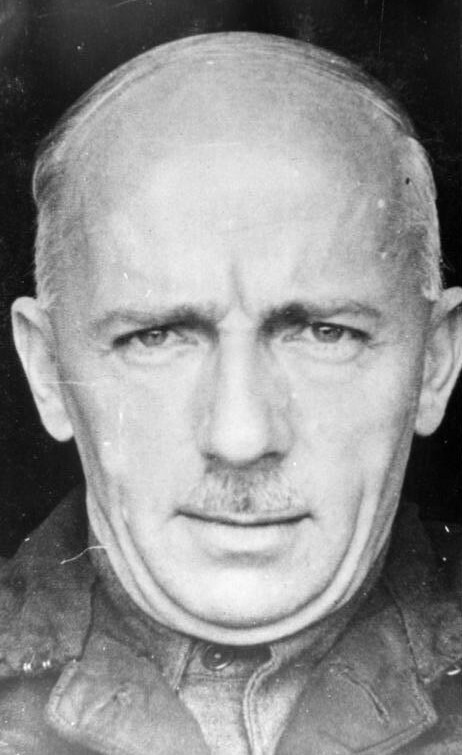 Deteriorating US-German relations in the lead up to WWII made a direct exchange of information impossible, and with little specific information to go on, Dornberger’s team would have to start essentially from scratch on their own rocket. From different shapes of combustion chambers and nozzles to the materials that the engine itself was made of, many ideas were tried and judged in short order. 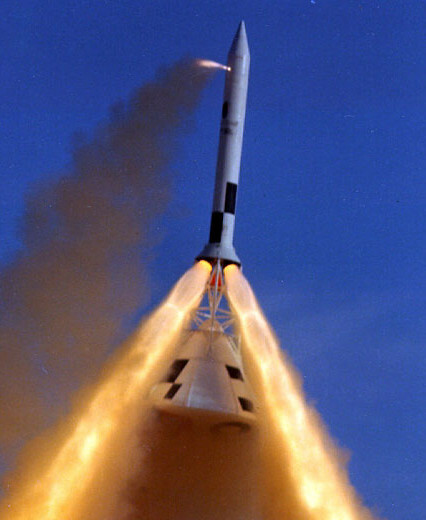 During this phase there were a number of catastrophic failures, and the first casualties of the program were recorded long before the V-2 ever reached the launch pad. Even the basic shape of the vehicle was up for debate in the early years. Some experimental vehicles were launched with the rocket engine in the nose, firing out of angled exhaust nozzles, but they were quickly found impractical. Interestingly enough, this arrangement did eventually find a use: the launch escape systems (LES) found on nearly all manned space capsules. Stabilzing the vehicle in flight was another problem. Early ideas had the rocket spun on its long axis like an artillery shell, but that would cause the propellants to ride up the sides of the tanks due to centrifugal force. A compromise had a weighted section of the rocket’s nose spinning independent from the rocket itself to achieve a gyroscopic effect, but it proved too complex. After many iterations, the final form of the V-2 rocket was developed. The general arrangement of the vehicle: rear firing engine, four stabilizing fins, and in-line propellant tanks, would form the basis of rocket design that we still follow today. Around the half way mark of the book, Dornberger starts moving away from the technical aspects of developing the V-2, and on to the logistics of putting it into production. As this was a weapon, hundreds, and eventually thousands, would need to be manufactured; in the days before nuclear weaponry, having just a few of these long-range missiles would be inconsequential to the war. When Dornberger pressed for more resources to get the rockets into mass production, he was teamed up with a group who specialized in the manufacturing of locomotives. The military, being completely ignorant to the complexities involved in the production of rockets, reasoned that experience in building trains was enough to qualify them for the task. The various parts of the rocket were sent off to different factories, and schedules drawn up for how many units each factory was to produce per month. Given the (for the time) incredibly complex component design, few of the factories were able to come near their assigned production goals, and even if they delivered the number of parts promised, the quality was far below the standards required. Dornberger quotes a 10 – 20% success rate for the rockets assembled in the early days of production. Further complications arose from the engineer’s constant desire to improve and refine the V-2. As the design was not frozen, and indeed in some ways not even finished, the factories occasionally found themselves operating from outdated blueprints. When the production teams asked engineering for new plans so they could update their lines, engineering would respond that they still needed more time. Dornberger eventually froze the design for everything but the most critical of changes, but by that point, immense amounts of time and money had been wasted due to poor communication. You can’t write a book about weapons development in 1940’s Germany without mentioning the Nazis, and V-2 is no exception. There are various Nazis scattered throughout the book, including a few meetings with Hitler himself, but in general Dornberger portrays the Nazi officials he encounters as being more Hogan’s Heroes than Raiders of the Lost Ark. In almost every case, Dornberger paints them as dim caricatures, often going into detail about their occasionally overweight or unhealthy appearance. Whenever a Nazi pops up at Peenemünde, Dornberger or one of his engineers invariably shuts down their complaints with a perfectly delivered rebuttal that sends them scurrying away until their next encounter. All that’s missing is a twirl of the mustache or a shouted “I’ll get you next time!” to make the cartoon-style interactions he has with them complete. But this should come as no surprise, writing this book just 10 years after the events, Dornberger would clearly want to distance himself from the regime. Especially since he was employed by Bell Aircraft Corporation and developing the X-15 for NASA at the time. I’ll admit that I’m somewhat obsessed with the V-2 rocket. I have a fuel injector recovered from a crashed V-2 at Peenemünde on my shelf, sitting right next to a 3D printed cutaway model of the vehicle that I designed based on the original German blueprints. So when I saw an early hardcover edition of this book on eBay, I had to have it. But while I originally picked up this book because of my personal interest in the program, after reading it I realized there are many lessons to be learned when reading such a detailed account of an engineering project of this scale. Many “impossible” problems had to be solved, often with unconventional methods. The importance of adhering to the scientific principles of hypothesis and experimentation is repeatedly explained. The realities of building for mass production versus building a one-off test article are laboriously delved into. With luck, none of us will find ourselves involved in producing a weapon of mass destruction; but the methods detailed in V-2 are still valid for anyone who’s desired to build something out of nothing, for anyone who’s ever looked at a problem and wondered if there wasn’t a better way to solve it. One of the things that I was curious about as a youth was what in the world could they make the deflectors in the stream of rocket exhaust used to steer the rocket out of. The answer? Graphite. Big blocks of machined pencil lead. Ingenious. It’s interesting that they understood gimbaling the whole engine (or at least nozzle) would be ideal, but the technology just wasn’t there at the time. The graphite fins in the exhaust were a compromise out of necessity. That said, some amateur rocketry groups are still using the exhaust deflection method because it’s easier than trying to move a firing rocket engine without breaking something. Elon Musk also detailed once how they went from one method of steering to the other, a drastic change in approach. Which shows the issues continue and it’s still a choice between compromises it seems, even today. Wernher von Braun: Crusader for Space also touches another uncomfortable aspect of the V2 program. Willy Ley is also part of the story as well. I’d also recommend Ignition! by John Clark. It’s about rocket science materials such as chlorine pentafluoride and other unstable compounds you probably want to avoid. Smelly. Poisonous. Explosive. Occasionally reasonable rocket fuels. Ignition! is hilarious. If you’re not a chemical engineer, you’ll have to tolerate the technical aspects of the book. If you can do that, the human factors in the story are priceless. The foreword by Isaac Asimov put a grin on my face and was enough to entice me into reading the rest of the book. “Why you should post a link to the book referenced herein”? The A4-V2 rocket as a weapon had the infamous privilege to claim more lives manufacturing it than using it. Don’t forget slave workers from kz were mainly used for it’s production. One of them was located close to the main manufacturing facilities and test stands. For those that don’t know KZ here is short for konzentrationslager or concentration camp. The working conditions really were incredibly bad even by nazi standards. Possibly the QC problems were related to the use of forced prison camp labor. There’s a full V2 rocket at the National Air and Space Museum in DC; it certainly looks as though somebody hammered it together while being starved and beaten. For a fetishistically obsessive fictional examination of the V2, check out Gravity’s Rainbow by Thomas Pynchon. I think he focused on the “Peen” in Peenemünde. Thanks for the information on the fascinating V2 program! If I recall correctly, the condition of the Smithsonian’s V2 skin is a result of circumstances after its initial construction. It was left out to deteriorate and eventually recovered and restored. The placard at the base specifically makes note of this. Undoubtedly. The timetables for completion of such a complex machine were unrealistic no matter who was going to be building it, but putting untrained slave labor to work building them was a spectacularly poor decision. It really shows how desperate they were towards the end. From intentional sabotage to workers being delirious with hunger/fear, it’s a wonder any of the V-2s even functioned when they arrived at the front lines. ‘arrived at the front lines’? Uh, they fired them across the sea from occupied territory to land at random spot in England/London. Not from any ‘front line’ really. Although there was a constant issue with being bombed of course, but it’s still not ‘front lines’ I think. Well when they were pushed back too far to hit London they started hitting Antwerp, not sure how far behind lines that was at the time. Flashback to a couple years ago when I visited the Air Force Museum on the way through Dayton OH. They have a V1, and take pains to point out sabotage and markings by the French slave laborers. Kind of stops you in your tracks, and reminds you that people died making these things. They also have an ME262 and a bunch of other one-offs. Read that book as a 12 yr old in Junior High back in the mid 60’s. I wanted to build a liquid fuel rocket instead of my Century Engineering High Power solid propellant models. Soon after that, I joined the Reaction Research Rocket Society in Gardena, California where several members were building liquid fuel rockets capable of hitting over 30K feet! Don’t forget Goddard, to quote Von Braun “”Goddard’s experiments in liquid fuel saved us years of work, and enabled us to perfect the V-2 years before it would have been possible.”” … though that’s also the fault of US intelligence, such as it was pre-war, not counting Germany as a threat and stopping lots of Goddard’s more important results wandering off in that direction. Nazis didn’t come from space. They are from Germany. Please don’t forget it. It’s more important to remember that they were human and that such tendencies have to be seen and stopped wherever it pops up. Not all stuff can be generalised. Not all humans behaved like Germans and Russians during WW2. So please don’t try to trivialise their crimes. If it wasn’t for Soviets, everyone in Europe would be either dead or speaking German by now. If it wasn’t for the soviets, the nazis wouldn’t event come to power. They actively supported NSDAP in hope they would start a war in europe. Ultimately, only soviet own incompetence saved us all from being either dead or speaking russian. Yeah if communism wasn’t fomenting unrest in Europe immediately post WWI then neither Hitler or Mussolini would have got into power. @ Whitehall and RW: Nice try. By that logic, Soviets are responsible for French Revolutions as well? Besides, all nations in Eastern Europe survived Soviet rule quite well, while Nazi rule wiped out millions in only few years. Now if you are entertaining the thought that US is/was somehow morally superior to the USSR, consider millions of civilians slaughtered since 18th century by the US. Starting from American Indians, Mexicans, Filipinos, their own black people (deliberately infected by syphillis, lynched, etc. ), Koreans, Vietnamese, Latin Americans, Iraqis … More still were killed in various US sponsored proxy wars. I know quite a few Americans, and they are by and large a nice group of people. But their government is something else entirely. I’d say it is more likely that the Treaty of Versailles coupled with the great depression were even more to blame.. extreme times calling for extreme measures etc. Well, the sacrifice of the heroic Russian people would have been remembered a lot better if Stalin hadn’t slaughtered a lot of them. It’s more important to remember that they were inhuman. It’s more important to remember a hell of a lot of “regular joes” were swept along by crowd psychology and peer pressure which only the bravest resisted. In advance of those times they would have said “I would never do that.” and after those times, they’d say “I can’t believe I did that” but they got caught up in it and played along. If you like this I would recommend “This New Ocean” By William Burrows. It pretty much talks about the whole history of spaceflight up until about the waning of the US shuttle program. It includes a lot about the V2 and also how after the war the various members of the team behind it helped make the US and Russian space programs possible. Nice write-up and nice 3D model! I’ve read “The Rocket and the Reich” by Michael J. Neufeld but reading one by Dornberger himself would be a treat. Amazing what you can get done when you’re trying to kill people. Just you wait till you see what we do when Skynet tries to take over. Go humans! So I finally saw the Monoprice cheepo at a price I couldn’t pass up – $159. Got it about a week ago and now I gotta print something. So I happened to pick the V2 rocket, because everybody seems to need a missile program these days. I downloaded the very STL for the cross section pictured above, but went with another since I didn’t have glow-in-the-dark filament for the warhead. The thing about Von Braun was not that he was a Nazi officer, that he personally inspected factories where slave labor was used, or that he even helped select the slave labor. No, what makes him even worse than a Nazi SOB is that he didn’t care about anything but getting to build rockets. He would have joined anything or done anything, as long as he got to build rockets. No ethics, no morals, no humanity. Of course, the US needed him and the others to build our rockets, so all of that was swept under the rug. 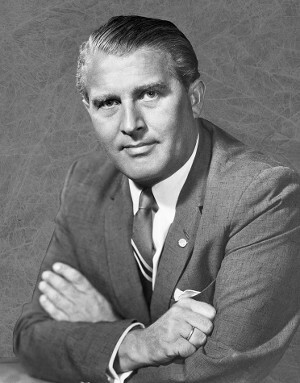 I remember how Von Braun was portrayed as a genius and almost a saint on TV, before and during the Apollo program. Even Walt Disney got in on this. Only later did I learn the truth. Lest any Nazi lawyers come after me, this is all just my opionion, of course. As often there’s no black or white in history. WVB probably was a brilliant engineer, superb team leader and war criminal in one person. Not just a Nazi officer, a SS one at that. But I don’t know, the protection by the US of those japs who did experimenting on prisoners including US POW seems an even worse incident. Not that you have to stick to 1 condemnation though. I had thought the first manmade objects in space were rounds from the Paris gun. I wonder if a large comet landing near a cave man could propel any tools of said character into low orbit space. I mean they do come in at angles, and if they survive the atmosphere they pack a punch. But at the other hand, the big ones also vaporize stuff near point of impact. If fossils of life are found on Mars, it may have originated on Earth and knocked into space in just that way; and pushed into the Martian orbit by solar winds. Tardegrades can survive the radiation, vacuum, temperatures and dehydration of space. Paris Gun shells did climb to an impressive 40 km, but that’s still well below the accepted Karman line. Though shells from the Paris Gun did hold record for highest altitude of man-made object until the V-2 started flying. It is worth mentioning the Bull Gun at this point. “Most Secret War” by R. V. Jones from about 1975 gives the other side, the Allies wanting to know about German developments during the was. It’s been some time since I read it, but some of it is about the nazi rocket program. They had to use what information they could gather to “disassemble” or “reverse engineer” what the Germans were doing. R.V. Nines was one of the participants, so there’s more detail than if a separate writer had written about it. Hi Tom , this is a wonderful article ! The 3d V2 section is amazing…. All this reminded me at the age of 10 -14 launching my first model rockets with black powder motor and ceramic exhaust nozzles… suddenly I gained lot of respect within the neighborhood ! ( it wasn´t planned ) only a beneficious side effect after hearing the roar of the rocket climbing at 1500 or 2000 mts (2 stage rockets) and the dense smoke trail left behind ! good times. It always irritates me when people aren’t referred to with their proper titles. Is funny how mind work and how ease is to change is roads to fit your/her/them needs.. When von Braun work for those who kill us is “war criminal”, and when work for us is hero. Nobody see the ipocrisy in that ? We both agree , see my response to Podstuff above. But dust dont have to climb on these facts, or we will repeat the atrocities, again and again. We as in human, who still think thise are apanage of this or that country better go and look at the sky, to see the Santa drop some toys just for him. What’s the “frequently bought together” with that one? Yeah, the reason I didn’t link to a source where you can buy this book is because the values are all over the map. It’s relatively rare, and many people are trying to capitalize on it. There’s no digital version either, as far as I can find. Personally I bought my hardcover edition on eBay for $7, so I’d suggest anyone who’s serious about buying it just start trolling eBay. Maybe setup an alert.